Aswagandharishtam is useful for neurological and mental disorders, psychosis, epilepsy, insomnia, fainting and loss of memory. Aswagandha was widely known for its ability to rejuvenate strength and vitality. 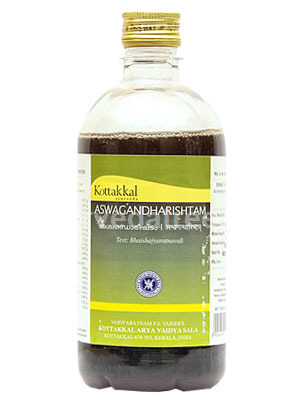 This unique formula, Aswagandharishtam rejuvenates the entire nervous system by nurturing and soothing most effectively. It is also excellent for nerve-related emaciation and debility. 15 to 25 ml or as direct by physician.